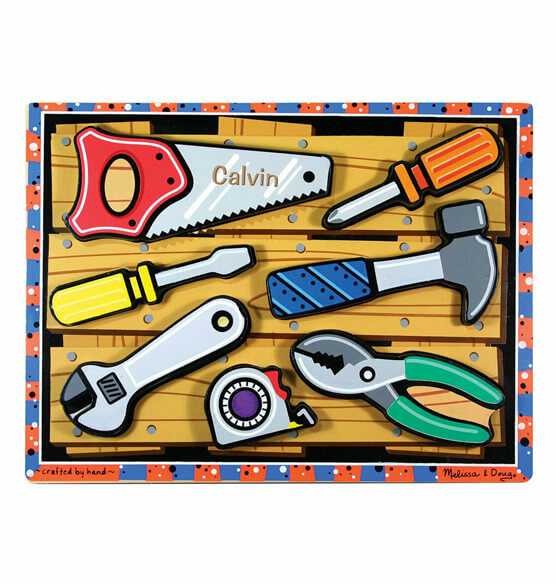 Two screwdrivers, a hammer and a saw are four of the essential seven tools in this Melissa & Doug® Personalized Tools Chunky Puzzle. This extra thick wooden puzzle includes seven easy-grasp, chunky tool shaped pieces, each with a full-color, matching picture underneath. Tool pieces can stand on edges for pretend play. 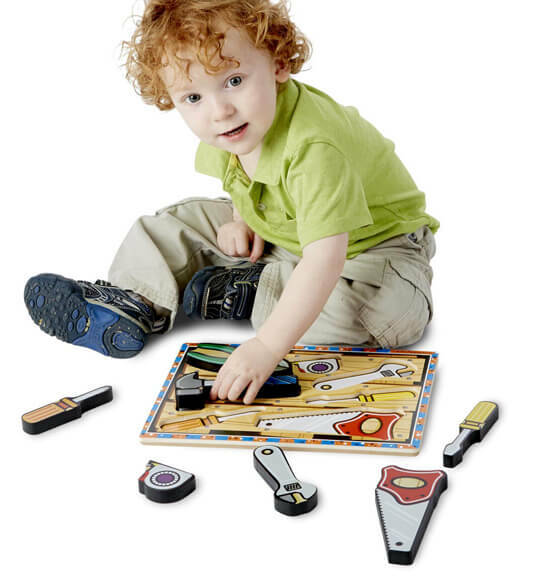 This children's toy encourages hand-eye, fine motor and creative expression skills. Express shipping not available. Please allow 2-3 weeks for delivery. This item is expected to be in stock May 19, 2019. What is the size of the puzzle? BEST ANSWER: Thank you for your question. It is 1” H X 9” L X 12” W. We hope this information will be of help to you.